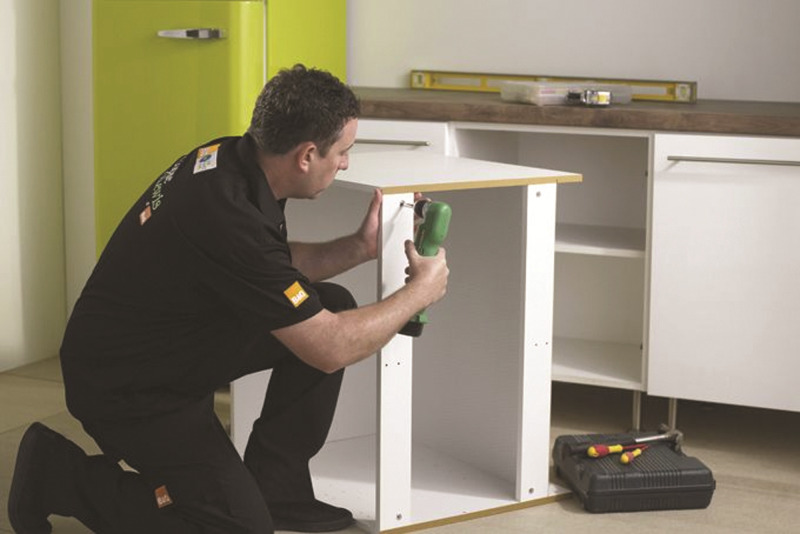 B&Q has entered into a consultation process with 700 employees as a result ofnew plans to simplify the buying process within kitchens & bathrooms, including scrapping its Homefit installation service. The DIY giant has proposed to change the way it sells kitchens and bathrooms, hoping to make the transaction simpler, so that customers only have to deal with one staff member. The changes set out are designed to speed up the buying process, reducing the time between the design and delivery of the product. As part of the plans, the business will scrap its Homefit installation service at the end of the year. When introduced in spring 2013 under Kingfisher Group chief executive Ian Cheshire, the company said the installation service was showing “encouraging signs”. However, the retailer explained that said around 90% of customers now choose to use third-party fitters. B&Q retail director Paul Crisp said: “We want to be the leading home improvement company and make home improvement accessible for everyone. That means we need to operate differently. “We’re always looking to make things easier for our customers. The proposed changes will make it simpler for them to buy a kitchen or bathroom as they’ll only need to deal with one person in store; they’ll shorten the lead time between booking a design appointment and delivery of a new kitchen or bathroom. The decision to axe the Homefit service will affect 300 workers across 14 B&Q lolcations. The other 400 employees B&Q has entered into consultation with are part of its in-store design arm. However, B&Q said that no employees will be worse off as a result, and that the overhauled service will produce 400 new jobs. They have taken away showroom staff commission most earning a minimum of £300 a month and replaced it with an extra 50p an hour! So the experienced staff have left in droves many to Wrens. They know that last time BQ gave an hourly rise they then cut the location allowance by the same amount. Increased sales mean Directors and Ceo have gained massive bonuses at a time they cut the wages to the lowest paid and removed their bonus.in my store they gave Staff a 50p an hour pay rise to compensate then cut the location allowance by 50p an hour. Greedy bosses no shame while putting enormous pressure on staff. No employees will be worse off! That's what they said when they changed staff wages two years ago now older staff are £2300 a year worse off. But the CEO and directors pay has gone up. Morally bankrupt company with no shame. B&Q's latest overhaul to its design and installation service is all about profit for shareholders. I'm not fooled into thinking your going to give me a better service as consumer. I ask myself the question, better still I think I'll ask a Store Manager exactly who will design my kitchen or bathroom now that the highly qualfied design consultants are being made redundant. Am I now to assume that I have spend hours at home on your free design tool and do it myself? Come on, someone must be taking on the mantle of designing. Who? What qualifications, experience and training does this replacement person have. Is it even legal to make a job roll redundant if someone is going to need to do it? Exactly what are your plans? Do you intend to just pull from you current work pool sticking them in front of a PC and saying get on with it? REALLY. Why would I invest my hard earned cash into a kitchen with B&Q without the safe knowledge that whats being designed will actually work for me and even be compliant with building regulations. I really don't know why I would intrust B&Q to have any part in my new kitchen. Reading your press release it states that im going to have one person from start to finish to deal with regarding my new kitchen purchase. Whats changed? Thats exactly what you offered when I was last in store considering my options. Young lady wanted book me an appointment to see the designer, who, to my understanding, took me through design, sale and organised delivery. My confidence in B&Q right now is at an all time low. Had the fitters here today , trying to replace our scratched black glass sink !! 3rd time of trying ! Second one shorter than the other so would of left 20mm gap / 3rd one that’s to day , the sink bowl is to long !!! Anyway the two fitters was telling me that most will have no more fitting work as of August as they are contract fitters . have to wait and see what’s happening about our sink , supised to be getting a call from Homefit today but not holding my breath . They are also stopping the commission employees got to earn through sales, which to some could amount to £500 per month.